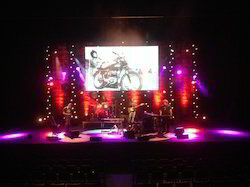 We are engaged in offering Led Display Screen to the clients'. 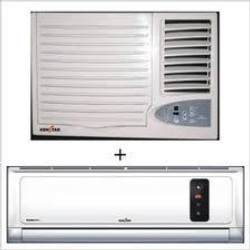 We offer a wide range of Air Conditioners Hiring Services and have carved a niche for ourselves in this market category. Our range is highly customized and can be availed in various packaged based on the requirements of the clients. Spire Electronics has partnered with property managers, landlords and the rental industry to provide complete tenant screening services. We have access too millions of records, both criminal and eviction, and maintain a growing database of up to the minute information. There could be many circumstances that may force our customers to go for a temporary power protection system. It may be a short-term project need, it may be temporary replacement of a defective UPS/Charger/inverter, and it may be that rental is commercially preferable & beneficial. We can provide wide variety of Fax Machines, Phones according to client's needs. Currently we offer our service in and near by locations of Delhi, Mumbai, Kolkata, Chennai, Hyderabad, Bangalore, Ahmedabad, Gurgaon, Noida, Surat, Pune, Jaipur, Indore, Nagpur, Patna. Misting fans are used in hot and humid temperature. Misting fans keep the place comfortable and soothing and cold. The maximum cooling effect at very low power consumption. Even under the sweltering sun, create your own corner of a cool paradise with our misting solutions. We provide led tv, led wall, laptop, Projectors, sound system on rental basis in all over kolkata.